Israeli Prime Minister Benjamin Netanyahu is attempting to sell $500 million worth of US-manufactured F-16s to Croatia which were purchased with US taxpayer aid dollars, but Defense Secretary Mattis reportedly blocked the sale to Secretary of State Pompeo's chagrin. The United States is blocking Israel’s sale of aging F-16 fighter jets to Croatia, a member of the American-led NATO security alliance, Channel 10 news reported Thursday. [...]Quoting unnamed Israeli officials, Channel 10 news reported the Trump administration was angry Israel added advanced Israeli-made electronic systems to the F-16s as part of efforts to convince Croatia to buy the planes. The officials told the network the US believes Israel unfairly profited through its actions, as the F16s are American-made and were not supposed to be sold to a third-party without its approval. 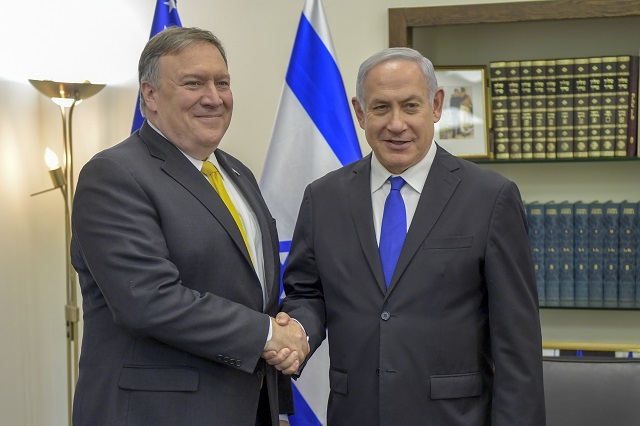 [...]The officials said Prime Minister Benjamin Netanyahu raised the sale during his meeting with US Secretary of State Mike Pompeo in Brussels on Monday. “I’m in favor but Defense Secretary Mattis is against [the sale] — its him who is blocking it,” Channel 10 quotes Pompeo saying. This is a $500 million arms deal which the US would be making with Croatia if not for Israel's aggressive move. The US is about to give $38 billion in military aid to Israel -- the highest amount in US history at a time when our nation is trillions of dollars in debt. 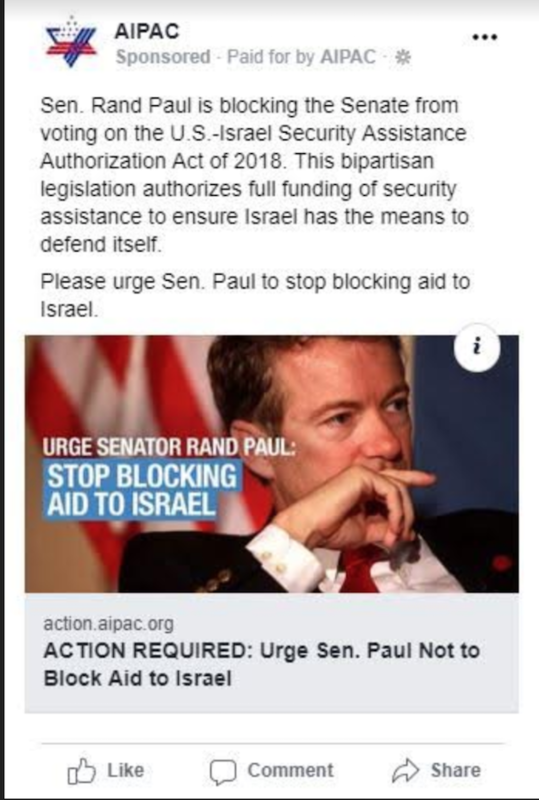 The bill is currently being held up by Senator Rand Paul who is having attack ads run against him in his own state of Kentucky by AIPAC on behalf of a foreign power. How much of this aid are they planning to turn around and pawn for massive profits?